Yuketen’s Johnson Oxford is a low-cut variation on Yuketen’s take on the classic Boondocker boot, reinterpreted through Yuki Matsuda’s design perspective. A cap toe with subtle perforation detailing in addition to the ever popular Vibram Christy sole bring this military classic into contemporary style and practicality. Each shoe is Goodyear-welted in Canada with classic American machinery. 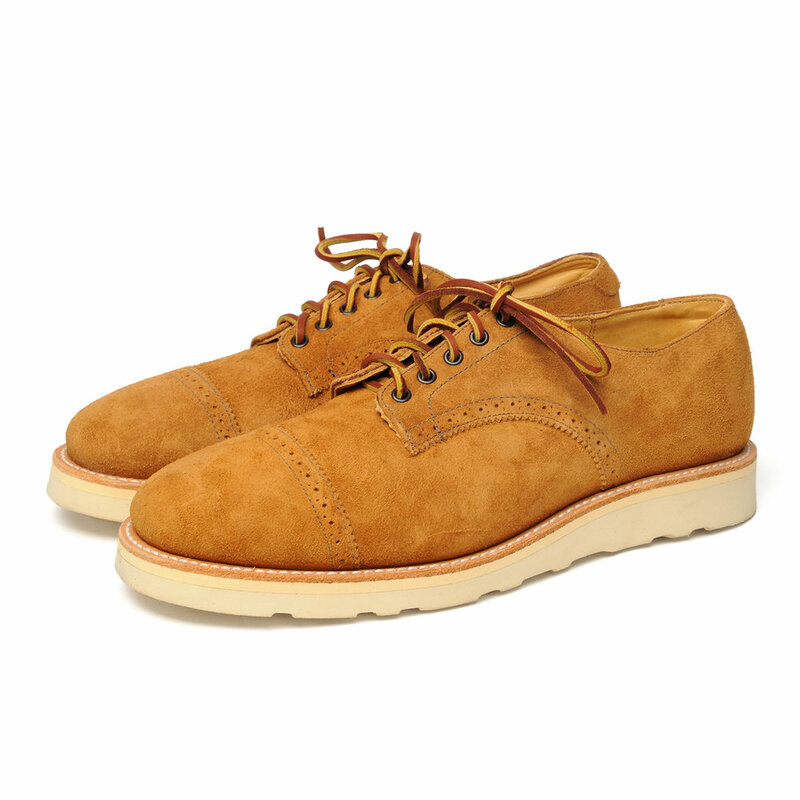 The upper is crafted from full-grain American-tanned leather, the flesh side of which has been preserved and displayed. This 'flesh-out' leather is not suede, because it retains the grain side of the leather, providing a thickness, strength, and longevity not found with the latter material. The updated shape of the Johnson originates from the mil-spec last used for this model that is specifically designed for army infantry to guarantee long-wearing comfort. Natural leather insoles ensure conformity to the shape of the wearer’s foot for long-term comfort in addition to a Vibram Christy sole for shock absorption and cushion. The Johnson also boasts a natural leather welt and leather laces to complete the outward statement of high-quality materials and construction. The quality components and classic details that make up the Johnson Oxford are intrinsic elements of Yuketen shoes that reiterate Yuketen’s commitment to unique and fulfilling footwear.